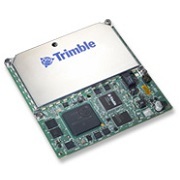 The Trimble BD960 GNSS receiver module is designed for easy integration. Its compact physical form (Eurocard) makes it perfect for portable applications. Its rugged design also allows it to be used in harsh environment. It supports multiple channels and frequencies, including GPS L1/L2/L5, GLONASS L1/L2 and SBAS. In addition, it offers OmniSTAR support (VBS, HP, and XP), which is available in specific areas in the world and requires a subscription. 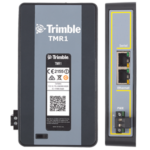 The Trimble BD960 GNSS receiver module has built-in multipath mitigation, which reduces signal interference that happens when signals are being reflected from surfaces such as buildings, trees, or the ground. Despite its compact design, the Trimble BD960 GNSS receiver module is equipped with 1 LAN Ethernet port for high-speed data transfer. It also supports a wide range of network protocols, such as HTTP, NTP Server, Dynamic DNS, mDNS, etc. 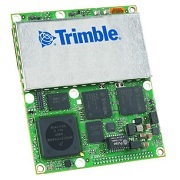 The Trimble BD960 GNSS Receiver module is available in various configurations from L1 DGPS upwards. For more information, please contact us through our Request Pricing Form.